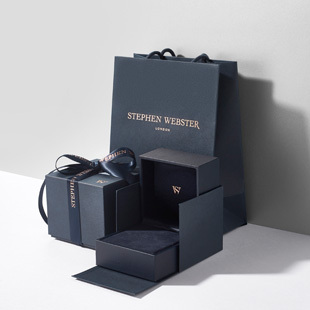 Capturing the imagination of curious minds, Stephen Webster presents the Jitterbug Horse Fly Ring. Set in 18 karat yellow gold with blue enamel wings and bejewelled with baguette cut and pavé blue sapphires (1.49 carats) with round cabochon orange spessartite eyes (0.54 carats). What do you see….a horse or a fly?